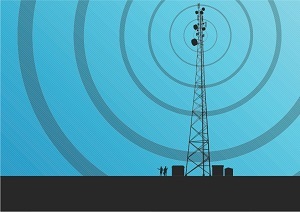 Fire Insurance Claims Denied Based on Cell Tower Data | The Voss Law Firm, P.C. When reporting a fire on your property, the phone you’re using to make the call is likely the last thing on your mind. Maybe it should be one of the first. Cell phone tower data is often used by police officers and investigators to track down criminals—and recently this data has been used as a way for insurance agents to deny fire claims and make criminal allegations against policyholders. Attorney Bill Voss explains how this information can be used against you, and how to dispute any denial based on cellphone records. It’s no secret that insurers look for any possible reason to reduce or deny claims. The recent use of cellphone data in investigations has offered a new way for insurance agents to claim that a policyholder has contributed to or outright caused the damages. Dispute location. Cellphones connect to nearby towers in order to complete a call, and the location of the tower can be used to determine the location of the caller. However, cellphones don’t always connect to the nearest tower—especially if the caller is within range of multiple towers. Although location data gathered from towers isn’t 100% accurate, insurance companies may claim that a policyholder was inventing or inflating losses if cell data says that the policyholder was miles away from the property while detailing damage. Deny untimely claims. Calls from cellphones carry timestamps and other behind-the-scenes data that can be deliberately misinterpreted to deny claims. If the date and time of a call is several days after the damage occurred, it may be used as evidence that the policyholder was remiss in reporting the damage. Accuse a claimant of fraud. Misinterpretation of cell tower data can not only cause a claim to be refused, it can be the basis of criminal charges against a policyholder. If a caller claims that he was miles away when a fire occurred, but cell data shows otherwise, the insurer may believe that the caller started the fire. Policyholders may be charged with arson, insurance fraud, and other crimes based on which cell phone tower assisted the call. The important thing to remember is that cell tower data is not infallible, and there are many factors affecting which tower is used to make a call. If your insurer is denying fair payment for fire damage, we can help. Simply fill out the form on this page today to contact the Voss Law Firm or order a free copy of our book, Commercial Property Owners Must Read This BEFORE Filing an Insurance Claim.